HÀ NỘI — Việt Nam posted a trade deficit of US$5.2 billion with China in the first two months of this year, according to the General Department of Customs. 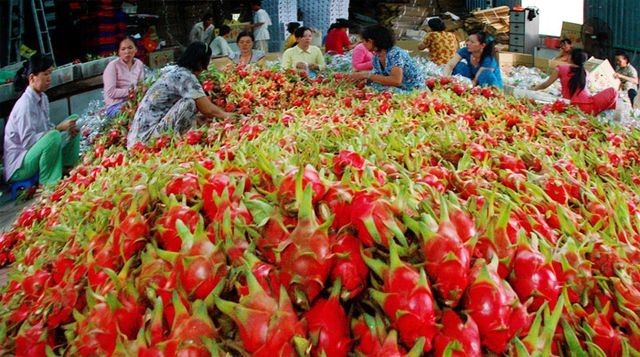 During the first two months, Việt Nam’s export value to China fell 16 per cent to $4.7 billion year-on-year. China is the second largest export market for Việt Nam behind the US, accounting for 17 per cent of total export value. Exports of rice fell 95.5 per cent in that period, while mobile phones and accessories were down 75 per cent. Cameras, camcorders and components were down 18.5 per cent, fruit and vegetable exports fell 14.5 per cent, and computers, electronic products and components were down 8.6 per cent. Import value from China stood at more than $9.9 billion, up 8.2 per cent year on year. Imports from China accounted for about 27.4 per cent of total import value, the department said. Many goods items imported from China reached over a billion dollars. They included machinery, equipment, computers, electronic products and components. Machinery and equipment were up 18.5 per cent to about $2 billion, and computers, electronic products and components were up 47.7 per cent to $1.55 billion. Clothing imports reached approximately $1 billion, an increase of nearly $10 million compared to the same period in 2018, usurping phone products to become the third largest import item from China.